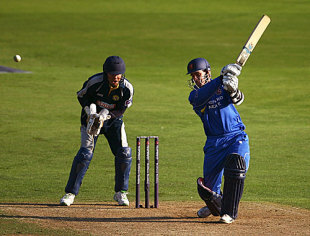 Jason Gallian has announced his retirement after losing his place in the Essex first team. It brings to an end a 19-year career split between Lancashire, Nottinghamshire and Essex with a brief England spell in 1995. Gallian, 38, was born and raised in Sydney and played youth cricket for Australia before throwing his lot in with England when he signed for Lancashire. He moved to Nottinghamshire in 1998 where he had a spell as captain, but it wasn't always a smooth time for him and he had a falling out with Kevin Pietersen. "I have spent 19 years playing professional cricket which I have thoroughly enjoyed and had a great experience and several challenges along the way," he told the Essex website. "My last challenge has been at Essex, and the highlight in 2008 was being involved in the winning of two trophies. "However, all good things come to an end. Essex has a lot of young players coming through and it is their time now to perform. I am pleased to have finished my playing career at a club as good as Essex". Paul Grayson, the Essex first eleven coach, said: "Jason has done well for us for the past two years. He played some really good one-day cricket in 2008. Unfortunately Jason has struggled for runs in the County Championship this season. He is good to have around the dressing room with his knowledge and experience of the game. All of us wish him well in the future." Gallian scored 15,266 runs in first-class cricket at an average of 37.50 including a career best 312 for Lancashire against Derbyshire. He earned England selection in 1995 against West Indies, but broke his finger on debut at Edgbaston. He played another Test at the end of that series and one in South Africa but was a victim of the inconsistent selection policy of the era. Essex have also released offspinner James Middlebrook and quick bowler Jahid Ahmed.